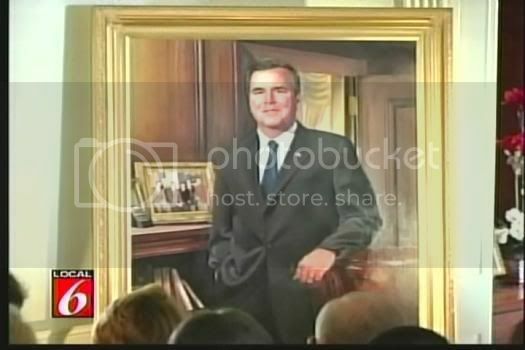 Governor Jeb Bush unveiled his portrait at the governor’s mansion in which he included his Blackberry painted in right next to the portrait of his family. There’s nothing wrong with this, yet there’s something not wholly right either. Are you tired of the mass produced gifts you find in the big box stores? Would you like to give a gift that is handmade and perhaps a little more personal to the intended recipient? Do you want your gift to be more eco-friendly than what you’ll find at the mall? Then Dandelion Communitea Cafe’s “Homemade For The Holidays” is where you want to shop. This Saturday, as they have for the past 3 Saturdays in December, Dandelion Communitea Cafe will host their final Arts and Crafts Market before Christmas. The event gives local artisans and crafters an opportunity to share their homemade jewelry, clothing, candles, incense, preserves, beauty products, paintings and other gift items with shoppers who are looking for that unique gift for that special person in their lives. In addition, all vendors are only offering environmentally friendly products, most of them hand-crafted. Plus, this week only, the “Homemade For The Holidays” Arts and Crafts Market will feature performances by folk musician Paul Gerardi, a local talent who has toured the eastern United States and hosted a show on local radio station WPRK, among many other musical accomplishments. So if you’re looking for a locally produced, one of a kind, environmentally friendly last minute gift, make your way to Dandelion Communitea Cafe’s “Homemade For The Holidays” Arts and Crafts Market this Saturday from 1 to 6pm. The cafe is located at 618 N Thornton Avenue in Orlando, one block west of Mills Avenue and between Colonial Drive and Concord Street. Last Friday night, despite being physically and mentally exhausted because of work pressures and the various holiday events that fill this time of year, I found myself laughing, really laughing, at the performance of “Every Christmas Story Ever Told”, a 3-man show offering a satirical look at…well, every Christmas story ever told. Presented by the Orlando-UCF Shakespeare Festival at the Margeson Theater, “Every Christmas Story Ever Told” is a hilarious stage production that features Tim Williams as the frustrated thespian who yearns to perform the quintessential “A Christmas Carol” only to be continually pulled into a mashup of just about every Christmas story ever told (they missed one of my favorites; “A Wish for Wings That Work: An Opus Christmas Story”) by Mark Lanier and Rob Maitner. Santa, Rudolph (well, Gustav, the Green-Nosed Reingoat, to avoid copyright issues), Frosty, The Grinch, The Nutcracker and even Tiny Tim all get poked fun at by these 3 excellent performers. They are all so equally talented that I find myself thinking that each of them was “the best” as they in turn take the spotlight. As a bonus, they throw in a “Every Christmas Carol Ever Sung” performance that is an unbelievably smooth (and funny, nonetheless) medley of all your favorite holiday songs. Costume and set changes sometimes take place right before your eyes during this breakneck show that keeps the pace going so quickly that you may miss some of the holiday sendups if you’re not paying attention. The finale of the show is a train wreck (and I mean that in the best possible way) combination of what are probably the 2 best known holiday productions, “A Christmas Carol” featuring Ebenezer Scrooge and “It’s A Wonderful Life” featuring George Bailey. Williams amazed me with his dead-on impersonations of Alastair Sim and Jimmy Stewart, alternately switching between the 2 characters so seamlessly and frequently that I was agog that he was able to keep their accents straight. Special thanks to my wife’s parents who gave us the tickets to this show. It provided a much-needed and enjoyable chance to laugh and relax. “Every Christmas Story Ever Told” continues each night and with matinees through December 24th. Tickets are priced at $20 to $35 and are worth every penny if you want 2 hours of hilarious fun. Click on the link above for more details. Posted in Uncategorized | Comments Off on Ubercool event Saturday!